You know how sometimes you're like "I really like ______, I should buy more of it," and then eventually you realize you have rain boots, an ipad case, three skirts, two umbrellas,a sweatshirt, and a pair of pants in _______? Well, this is what has happened with me and polka dots. I was totally convinced I needed more polka dots in my life (I blame Marc Jacobs and Stella McCartney), until I realized I was at polka dot capacity. If it rains I will either have to go without an umbrella or without rain boots,for fear of looking crazy. I will be the polka dot version of Crazy Cat Lady or Crazy Purple Lady. However, I would not give up my newest polka dot item for the World. Out of all the great stuff I ordered from Felicee, these were what I was looking forward to the most! I was not disappointed. They fit great, despite my "generous" calves, and the fabric is oh-so-soft. And like everything else on Felicee, they're super affordable and cost me just under $22. Something else I noticed, they actually do the opposite of what I thought they would do and provide a bit of camouflage for my rounder parts, haha. They are the perfect addition to my wardrobe. Neutral color, classic pattern, and a ton of fun! i know exactly what u mean! my closet is so full of polka dots and mustard yellow!!! when i look at my recent outfits photos, i'm definitely edging towards being a crazy yellow woman! LOL! I love polka dots lately!! Don't know if I'm quite as obsessed as you yet lol! Absolutely love those trousers though!! LOVE your polkas!!! My daughter bought me a pair from F21, your post reminded me I never took them out of the bag, lol. 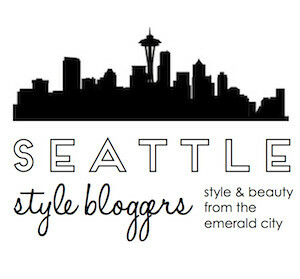 Thanks for your feedback!I'm very excited because I love your blog and your style! I really like your hair cut and how you combine clothes. I'm the same, except I keep buying the exact same item of clothing then realising I already had it. Those pants are awesome. You are so adorable! Love this look! I love that classic blazer on you! Wow you great style and I love you hair! You pull it off well! I want to try cutting my hair that short someday!